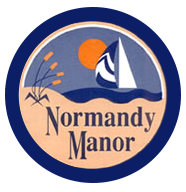 When you're considering moving, you should consider Normandy Manor Apartments. Choosing where to live is one of the most important decisions you make. So take a moment to review the special features we offer. Compare us with your other options, side by side, and you will see that we are beyond comparison. Need Some Extra Spending Money? Residents refer your friends to our community and get two great benefits. 1. - Your friends become your neighbors. 2. - You receive $200 when they move in. Act Now! Call to learn more about our rental rates.